The little black bag on this Ronald Reagan campaign pin carries Ronald Reagan's name. 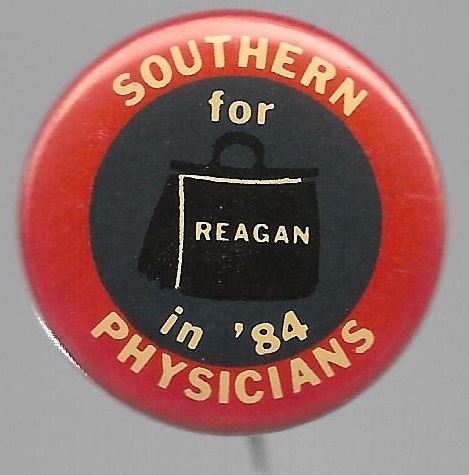 It's a 1 1/2 inch celluloid made for Southern Physicians who supported Reagan for president. Excellent condition.